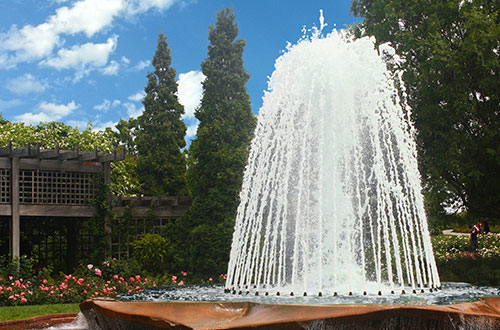 Fountain Nozzles are attachments which can be easily connected to a fountain pump, creating stunning water displays in ponds, lakes or as stand-alone water features. From a gentle trickle to a dramatic commercial fountain display, Water Garden's wide range are designed to impress. Our Fountain Spray Rings consist of a ring of multiple nozzles which can be adjusted to different angles, offering an adaptable and exciting water display. Fountain Nozzles – Useful Info. All of our fountain nozzles and spray heads are fitted with a BSP threaded screw connector, suitable for direct mounting to a pump or suitable pipework. 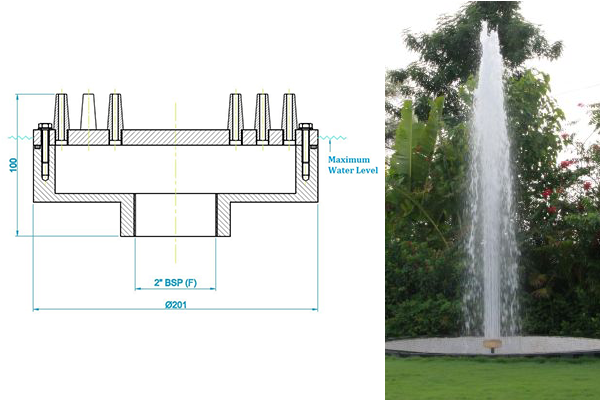 BSP (British Standard Pipe) threads are usually the standard type of connections on good quality fountain pumps, water feature pumps and are also commonplace in plumbing. It is important to note that BSP threads do not measure the same diameter as you may initially expect. For example, if your pump thread diameter measures 25mm (around 1”), this is likely to be a ¾” BSP thread.! 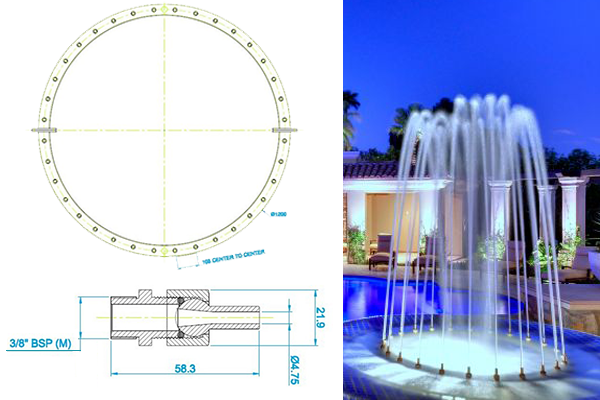 To help you decide what threaded fountain nozzle will fit your pump, Water Garden have provided a list of sizes below to help you choose the correct connection. ½” BSP Thread - Measures approx. ø19mm – ø21mm. ¾” BSP Thread - Measures approx. ø24mm - ø26mm. 1” BSP Thread - Measures approx. ø30mm – ø33mm. 1 ¼” BSP Thread - Measures approx. ø38mm – ø41mm. 1 ½” BSP Thread - Measures approx. ø44mm – ø47mm. 2” BSP Thread - Measures approx. ø56mm – ø59mm. Please note: Some pumps and aquatic equipment (usually unbranded parts) are supplied with metric or non-BSP threads which won’t be compatible. If possible, check the pump manufacturer’s instruction manual for the stated thread sizes. All OASE pumps are fitted with standard BSP threaded connections.